Do you want a fast and easily manageable site? If “Yes!” is the answer to all this, then you certainly need best WooCommerce plugins for WordPress. WooCommerce is a very popular e-commerce platform for online stores. If you are in a product-based business, then for marking your web presence, an online store is a must. According to 2017 stats, it powers more than 28% online stores. It will provide you a highly flexible online store. But to get the most out of it, you need some add-ons. For that, a number of plugins are available in the market. But, I deduce a list of some of the best WooCommerce plugins for WordPress that you can access for free.You can also know how to create WooCommerce Theme. Best WooCommerce plugins for WordPress will bring the important functionality of the e-commerce website. You can manage all the features such as inventory, payments, import & export, wishlist, shipping, checkout etc. easily. So to expand your e-commerce store, Here at Templatetoaster Ecommerce website builder and WordPress website builder, I have listed the best WooCommerce plugins for WordPress. Shipping helps to show the live shipping rates on your site. It takes full advantage of discounted prices, and print labels right. It makes sure that customers pay right shipping charges. You can get rates via Canada Post & USPS (United State Postal Services). It can save money & time by printing your own shipping labels. It automatically attaches a PDF invoice to the order confirmation emails of customers and gives a fully customizable invoice template. It has a multilingual support. You can work in Hungarian, Italian, Japanese, French, German etc. locales easily. It is one of the best WordPress WooCommerce plugin for WordPress with a 5-star rating. This plugin gives you a simple way to accept payments online. A customer can make payment through Visa, MasterCard, American Express, Discover, JCB, Diners Club, and more cards directly on your store. You can also accept money from Apple from mobile or desktop. Stripe payments are allowed in these 25 countries . It enables Amazon users to purchase on your site using their Amazon accounts. It will take the customer name, email, address from Amazon account detail and it’s fully responsive. Users are covered Amazon Payments’ proven fraud protection. This is among one of the best WooCommerce plugins. It is available in few countries only. Including Germany, France, Italy, Spain, Luxembourg, the Netherlands, Sweden, Portugal, Hungary, Denmark, Japan, the UK, and the US. Among the best WooCommerce plugins comes the PayPal. It enables you to add PayPal payment option to your WordPress site. It is compatible with Payment tokens. So buyers can save their payment method for speedy transactions in future. It is tested for quality control. No processing problem will be encountered by users. You can run fully-multilingual sites with this glue plugin. It has an easy translate management for products, attributes & categories. You can send the emails to the subscribers in their languages. It will keep the same language for the checkout process. It also provides the inventory tracking. So, you can run a single online store with multiple currencies. But it requires installing WPML plugins. Definitely counted among the WordPress WooCommerce plugins. It is a must-have plugin for your WooCommerce store which enables visitors to switch currencies & get their real-time values which undoubtedly makes it counted among the best WooCommerce plugins. Available with shortcode & widgets. It has 3 types of widgets: currencies switcher, currency converter, currencies rates. The plugin provides individual fixed price rules for each product. It is capable to set a new order currency created by admin. Easy to use both by customers and administrators and also compatible with popular WooCommerce plugins. Show cart icon, or only items/prices. Display items/price only, or both. Show always, or only when there are items in the cart. It takes only a minute to set up and also has a multilingual support. If the post-purchase experiences of customers matter to you, then this is a must-have WordPress WooCommerce plugin. It improves your customer services by delivering at the customer specified date. It helps to reduce abandonment cart rate by 50%. You can also set the minimum required delivery time in hours. The dates on which you can’t deliver will be set as holidays on the calendar. You can set the delivery date as a compulsory field on the checkout page. You can also set the number of orders to be placed in a day. This WordPress WooCommerce plugin for WordPress helps shop managers to display the customer information in a widget. You can show a variety of information here. Like the number of items in shopping cart, a number of unpaid orders & incomplete orders. Along with this, a link to cart and a login form is also displayed. This plugin has a multilingual support. This is a free WooCommerce plugin for WordPress that adds the fastest, most advanced, cloud-based instant search to your online store. It will help to increase your conversion rates. Cloud-based CDN results, give you suggestions to search as soon as you type the first letter. Whatever you search- product names, descriptions, images, or prices, this makes it a great experience for you. It is a must-have WordPress WooCommerce plugin with real-time query suggestions. If you run an online store, the image zoom is a necessary feature for your site. The more details, customers are able to see, more will be conversion rate. WooCommerce image zoom plugin is used to magnify the images. It will quickly set a zooming feature on your site. It works on mouse over. It’s a lightweight, easy to install and use the plugin. It is compatible with all WordPress themes. So it rightly takes its place to the list of best WordPress WooCommerce plugins 2018. When a customer adds a product to the cart, the cart button should be at his disposal. This WordPress WooCommerce plugin for WordPress adds a tab that displays the items in the cart. When you click the tab, it will show the cart content. It will also display the checkout option. It provides the options to control the display too. This WordPress WooCommerce plugin for WordPress is used to provide a simple interface for taking an order at the point of sale. No sync with inventory is required. It has multilingual support. YITH wishlist will help you to increase conversion rate and amount of sales. It offers the visitors to add the products to the wishlist. It will provide a link that you can insert into all the product detail pages. So a visitor can easily add the product anytime to a wishlist. These products can be managed by removing or adding to the cart later on. They can also share their wishlist on social media that can increase indirect sales. As the friends or relatives who are looking for a perfect gift for you can refer this wishlist. It has multilingual support too. YITH wishlist is a must-have WordPress WooCommerce plugin. WSDesk is a robust helpdesk plugin with rich features like Email piping, Zendesk ticket import, Unlimited Agents and Supervisors, Agents Performance Reports and Analysis, Backup and Restore and lot more. Email Piping feature is particularly rare in any free version. The Premium version is equipped with rich automation features with which you can set up different actions for different conditions. For instance, Auto-replies, Auto-email Notifications etc. ‘Single page ticket view’ and ‘Quick View and Quick Reply’ are some of the other significant features. It enables you to import, export products in your store and can export the simple products into a CSV file. In addition to this, it is also capable of importing a CSV format into its store. It is one of the most popular & best WordPress WooCommerce plugin as super-simple. Do you want to export your data with ease? Counted among the best WooCommerce plugins for WordPress, Woo Order Export Lite lets you export in various formats such as CSV, XLS, XML, and JSON. You can rename labels, reorder columns, apply filters etc. It enables you to run export as a bulk operation. This WooCommerce plugin for WordPress helps you to import & manage products into your store. You will upload the CSV file, create your header and import the product. There are no time-outs. This plugin is tested over 10,000 products. Various add-ons are available for custom fields, variable products & attributes. You can manage the stock of products and their variations from one screen with this plugin. You can set stock, stock status, backorders, price, tax status for each product or variation. Allows you to specify tax class, shipping class, product name etc. You can also display product thumbnails. It enables you to filter products by stock status, type or category. You can hide some table cells for better usability. It helps you to export or import data from your e-shop. This plugin allows you to customize and manage the checkout page. It means you can reorder, rename, hide and extend the checkout fields. All the added fields will appear on Order Summary, Receipts. You can upload files on the checkout page. It enables you to show payment method & shipping method used by customers. You can import/export the added field data. You can also attach a CSS and much more. Add to cart button text. Sale badge text for shop/product page. A number of products per page. Heading text for product description. Checkout page coupon, create account, submit order. This plugin helps you to create multiple sliders wherever you want on your site. This is fully responsive and mobile-optimized. You can use this for products filtered by categories. It preloads near images. It supports both the horizontal and vertical sliders. You can create unlimited sliders with 50 plus custom options. It comes with 7 built-in effects. Including none, scroll, direct-scroll, fade, crossfade, cover and uncover. It is multisite supported and easy to manage. Also, gives the lightbox functionality & image hover effects and has a cross-browser support. You can autoplay or schedule a slider. This is one of the best WooCommerce plugins of WordPress with search engine optimization. This plugin adds a new color section in the menu of your store. You can easily customize the look of buttons and other elements. It is easy to use. This plugin will display the whole content in a sequential manner all at once. No separate page, no separate categories will exist. People get used to scrolling data sequentially as on Facebook & Twitter. So, the same idea is applied here. The page will load in no time. You will get the same direct navigation even at mobile. 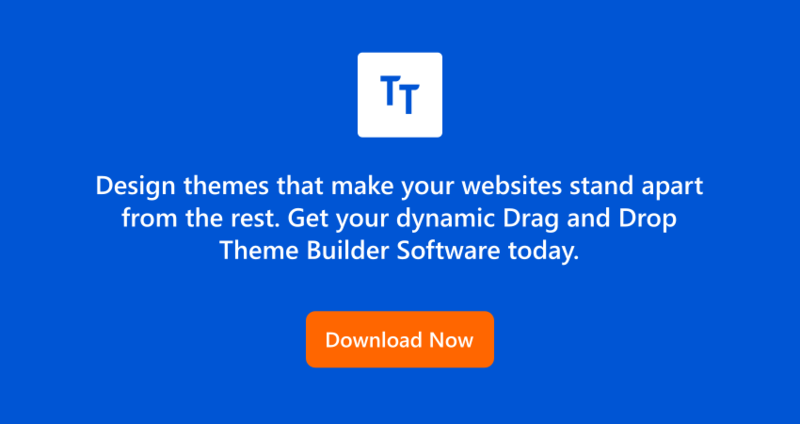 This plugin is an easy way to add custom tabs to a product. All the individual product tabs are managed via WooCommerce Edit Product Screen. You can save a tab & include the same tab in multiple products. Tabs can be easily added, removed or reordered. Tab content can include text, image, HTML or shortcodes. 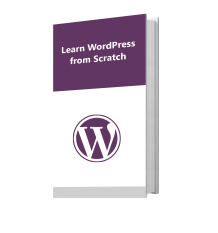 This free WooCommerce plugin for WordPress is compatible with WPML. This is an essential WooCommerce plugin for WordPress to customize the fields displayed on the checkout page. It means you can add a new field or remove, edit an existing field. You can provide new values for Name, Type, Label, Placeholder, Class, Label Class, validation rules etc. It gives you a checkbox option to display a field on order detail page or in the email. You can also alter the order of the fields and enable/disable a particular field. It applies bulk discounts to the items in the cart. Discount will depend upon quantity and specified products. It allows you to set percentage, fixed or flat bulk discounts. One can also set discount individually/globally. Discount can be made visible on various locations like checkout page, emails, invoice or order detail page etc. when a user hovers a discounted item, the discount will display. You can also disable the bulk discount easily. This WordPress WooCommerce plugin helps your customers to subscribe to your newsletter as they checkout with their purchase. If you have multi-newsletter lists, your customer can select one while making a purchase. It helps you to place the subscription fields on the checkout page and also facilitates a double opt-in. It has a minimum requirement of Mailpoet 2, WooCommerce v3.0 or higher, WordPress v4.7 or higher. This plugin helps you to recover your abandoned carts from your store. It sends automatic emails to your guest customers or logged-in customers to remind about abandoned orders. Allows customers to recover their abandoned orders in a single click and tracks the abandoned orders values v/s recovered orders value. It notifies the admin when an order is recovered. It automatically stops email sending when a customer makes a purchase. You can recover 30% or more from your lost sales. It helps you to create your own marketplace. Then, you will allow vendors to sell their products on your site. You will pay them the commission to sell tangible or virtual products from your site. It will pay commission on a scheduled daily, weekly or monthly. Vendors can see reports on their orders. They can also comment on orders. They can sell products of any type. It notifies a vendor on a new order. This plugin also provides advanced product management and customizable vendor headers. It has a multilingual support. Adds all the currencies to your store. Provides currency exchange rates automatically. Displays the prices of a product in different currencies. Adds a global discount on products & much more. This will add many features to your store and make it unique. Basically, it is a kit of plugins that add distinct features to your site. It covers everything from wishlist to quote requests, credit card payments. It includes plugins for search, products, scrolling, zoom magnifier, wishlist, waiting list, reviews, chat etc. This WooCommerce plugin for WordPress adds widgets to your WooCommerce store for better content display. It includes 6 widgets: a carousel widget, banner grid, category thumbnails, smart box, custom menus, and ‘about us’ section. With this plugin, you can add your store description to any page. The banner grid will help you out when you want to display discounts. Categories with thumbnails will help you to display product categories. Product carousel widget will add product carousels. Which WooCommerce plugins for WordPress you are going to choose ? If you have an online store, you need to be more presentable and updated. For that, you need to provide the latest functionality to your customers. Now, you have knowledge about some of the best WooCommerce plugins for WordPress of each category. If you want a reliable source to design an all-new, you can trust WordPress website builder. Moreover, it is compatible with all Woocommerce plugins for wordpress to produce desired results! !